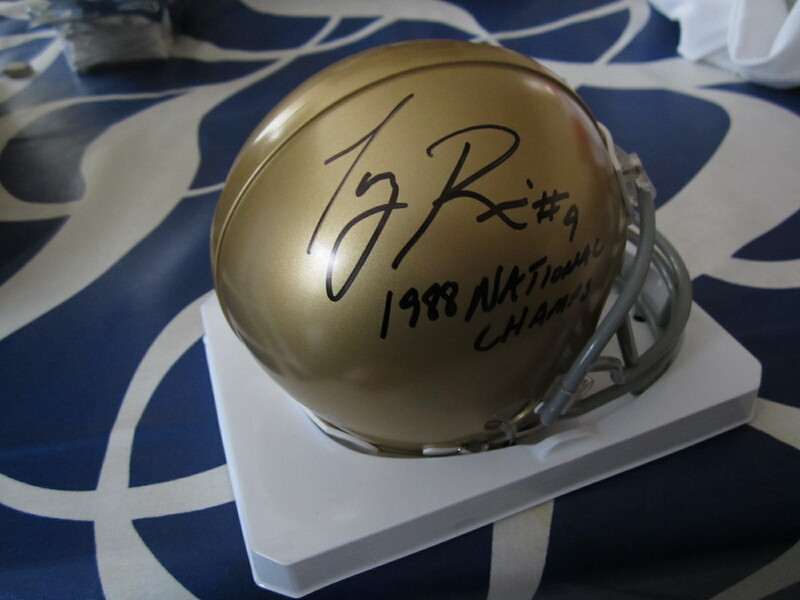 Notre Dame Fighting Irish mini helmet autographed in black marker by former superstar quarterback Tony Rice and inscribed 1988 NATIONAL CHAMPS. 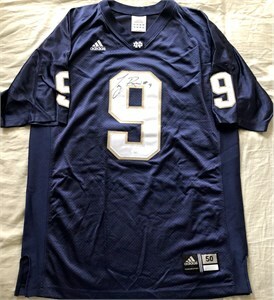 From a signing with Denver Autographs, with their certificate of authenticity. ONLY ONE AVAILABLE FOR SALE.